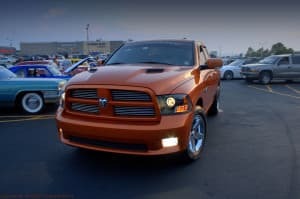 Back in march of 2013 during a New York auto show, one of the chief executives of ram-Fred Diaz, expressed the company’s intention of bringing a mid-sized truck to the North American market. He explained that Ram was still in the process of exploring the possibles of selling a mid-sized Ram due to the many concerns that they needed to address to see it would be a viable option. He stated that the demand for mid sized trucks was a small market and that the company needed to decide if it would be profitable to include themselves in that small market or if it only would be profitable if they dominated the market. He also stated that since Ford had left the market along with Chevy. The only two players that were in the market was Toyota and Nissan who he is sure is enjoying the lucrative perks of being the only two players. This demonstrated that the company did in fact have a real interest of introducing a mid-sized Ram and they acknowledged that since it’s being monopolized by Nissan and Toyota, there may be room for a 3rd party. Fast forward to May 6th of 2014, during the briefings of Fiat-Chrysler, the head of Ram Trucks gave a few details about the new plans he intends to implement for his brand. One of those plans was the introduction of a light duty pickup truck that was to be released in 2017.After hearing this, there was an abundance of questions that were being directed at him surrounding the new light duty pickup truck with the main question of, whether or not it would be a mid-sized ram. And even though he said that they didn’t have any plans about manufacturing a mid sized dodge ram, new details have emerged since then that may prove otherwise. And from a tactical point of view, why would they alert the competition about a new vehicle that would take a portion of the market that they’re capitalizing on. In July 2014, leaked pictures of a prototype surfaced that looks like a mid sized entry level truck. What really reignited the rumors was the fact that it seems like it’s design is based on the foreign version of the small Fiat Strada pickup. Plus the fact that the prototype was heavily camouflaged from the headlights to the entire body of the vehicle, it seems that this was done in an effort to hide the vehicle’s overall size.